Sean was called to the Bar in 2016 and practises as a criminal barrister. 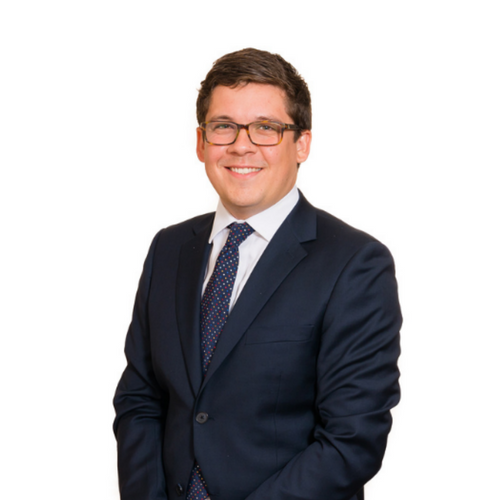 He completed a criminal law pupillage in Liverpool under the supervision of Ben Jones and Louise McCloskey and accepts instructions in all areas of criminal law. Sean is a Level 1 CPS Prosecutor. Sean has been instructed by both Prosecution and Defence in the Magistrates’ Court, Youth Court and Crown Courts. He has successfully prosecuted and defended trials in the Magistrates’ Courts involving domestic violence, road traffic, and theft offences. Sean has also appeared in the Crown Court for both Prosecution and Defence for sentencing, case management hearings and in appeals against conviction and sentence. He has experience of cases involving young witnesses, young Defendants and vulnerable witnesses. R v W (2018): Represented a client who pleaded guilty to an offence of dangerous driving and a lengthy bail act offence. He successfully submitted that the case could be dealt with by way of a suspended sentence. R v R (2018): Represented a client who pleaded guilty to a second set of production and possession with intent to supply offences. Successfully submitted that the matter could be dealt with by way of a further suspended sentence. R v W (2018): Represented a client charged with possession with intent to supply class B. Successfully submitted that the case could be dealt with by means of a community order and did not need to be committed to the crown court. R v K (2018): Represented a client charged with careless driving. Extensive cross examination of a bus driver who made allegations about the Defendant’s driving resulted in an acquittal. R v G (2018): Represented a client charged with driving whilst using a mobile phone. Cross examination of the officer who witnessed the alleged offence, secured an acquittal.